Conscientiousness is psychology's Holy Grail. It predicts success in major life outcomes. It's possible to change your personality and become successful. Curate Science - Crowdsourcing the Transparency of Empirical Research. Curate Science is a platform to crowdsource the credibility of scientific research by curating its transparency, analytic reproducibility, analytic robustness, and replicability. Recite checks your academic work for referencing errors instantly, so you don't have to. Save time and reduce errors. Try it now, it's free! New research debunks the claim that screen time is the source of teen problems. (2019). 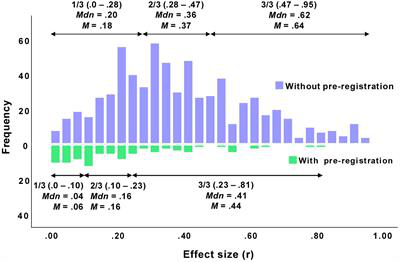 Assessing the Statistical Analyses Used in Basic and Applied Social Psychology After Their p-Value Ban. The American Statistician: Vol. 73, Statistical Inference in the 21st Century: A World Beyond p < 0.05, pp. 374-384.